Are you a diabetic or battling hypertension? If the answer is yes, closely monitoring your body metrics is crucial for maintaining health. As changing lifestyle habits are leading to a surge in conditions such as diabetes as well as thyroid and vitamin D deficiency, there is a need for devices that help patients monitor these conditions easily and cost-effectively. Bengaluru-based health-tech startup Samplytics Technologies is aiming to tap this opportunity. As per World Health Organisation (WHO) data, India ranks first in the list of countries with the highest number of diabetics. The WHO data show that the number of people affected with diabetes in India stood at 31.7 million in 2000 and is expected to hit 79.4 million in 2030, up by more than 100%. Another report by diagnostic chain SRL Diagnostics claims that nearly 32% of Indians are suffering from various kinds of thyroid disorders including thyroid nodules, hyperthyroidism, goiter, thyroiditis and thyroid cancer. IIT Roorkee alumnus Aayush Rai, who led a robotics and electronics club during his college days, is trying to develop an easy, portable and affordable device to help monitor such conditions easily. Rai, along with 33-year-old Varun AV, an IIT Madras graduate, has developed an imaging technology called ‘flat lens’ that allows one portable device paired with a smartphone to conduct multiple diagnostic tests. Rai, who led the team from India that won the International Space Settlement Design Competition at NASA in 2015, graduated from IIT Roorkee in 2012. During his college days, he interned at Drivven Inc in San Antonio, Texas and participated in the development of a product to detect and quantify knock in automotive engines and also provide single cylinder combustion analysis. After completing his post-graduation and specialising in wireless communication, he joined Siemens Technology and Services Pvt. Ltd—the Indian subsidiary of German multinational engineering and electronics conglomerate Siemens—as a research engineer in Bengaluru. It is during this time he met his co-founder Varun. The duo worked together to develop a patented imaging technology and wanted to move into the biometrics space. However, with the climb looking steep and progress slow, the co-founders incorporated Samplytics Technologies in January 2015 with the idea of having a single portable device that could conduct multiple tests from the comfort of home. The duo developed a device named Inito and raised some capital from investors Anand Mecheri, Rajeev Mecheri and a few other high-net-worth individuals from India and Singapore. 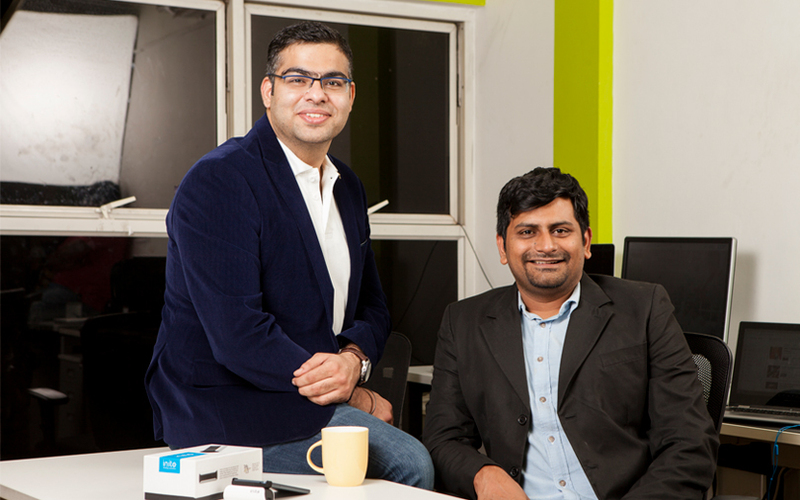 Having secured funding, Rai and Varun started working towards connecting flat lens with Inito and validating the product. "Flat lens is a patented technology that uses the science of optics to allow images to be captured from closer distances and also reduces noise allowing sharper focus. This technology helps us in making Inito a very small, portable device compared to large, expensive lab equipment that you see in diagnostic labs," Rai explained. "The device has been medically tested and the results were found to be comparable to those acquired with clinic-grade instrumentation which cost 100 times more and are 10 times bigger," he said. Inito, which looks mostly like a Glucometer, comes with needles and strips. The colorimetric strips change colour as soon as the sample (blood/urine) is put on it. The colour of the strip can be then compared on a scale present on the smartphone app to determine the results, Rai said. He said Inito has been used for conducting tests and analysis for diabetes, ovulation tracking, cholesterol and vitamin D deficiency. "If you take the ovulation tracker as an example, the device will measure two key fertility hormones (luteinizing hormone and oestrogen) in urine and show a woman's most fertile days and record it. The app's colour scale has already been fed a data set which helps it determine the accurate results," Rai explained. However, it was not easy for the company to launch all the tests at the same time as the technology needed validation and patents. "We have taken nearly one-and-a-half years perfecting the technology and the device. We have been working with gynecologist Dr Lavanya Kiran of Narayana Hospital, a record holder in robotic surgeries, to measure the accuracy of our tests. We have achieved more than 99.1% accuracy," Rai said. Samplytics first compared the results with diagnostic lab equipment and then compared them with other ways of testing the same disorders, he said. During the validation phase, the company needed more money and raised some from existing investors bringing their total fundraising to $1 million. The device was being assembled in India by the company itself but would be soon outsourced as the demand or sales increase, Rai said. 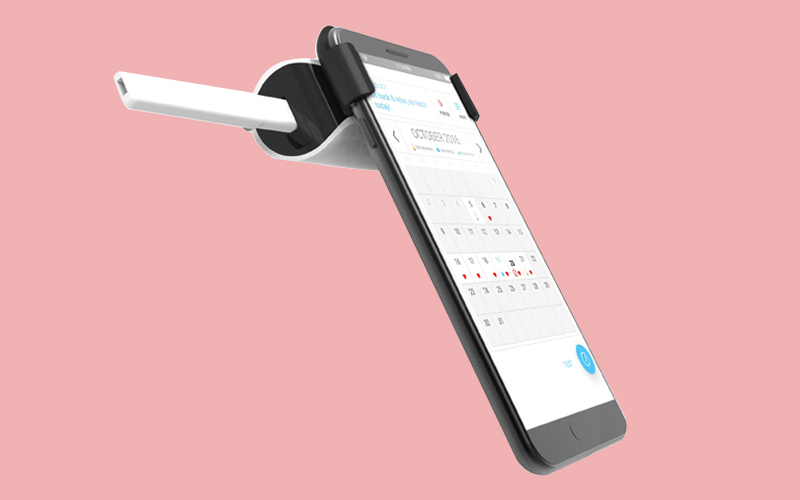 On December 22, the company launched its first commercial test with the product – an ovulation tracker. "While the device is priced at Rs 3,195, a pack of eight fertility test strips costs Rs 895. Right now, users can buy it through Inito’s website or on Amazon. It will soon be available at pharmacies," Rai said. “With today's stressful and high-performance lifestyle, maintaining good health is becoming increasingly challenging. We can be healthier, happier apart from saving tremendous cost if we can monitor our body metrics regularly," he said. The company will launch thyroid, vitamin D and glucose monitoring strips in the next six months, he said. He said the company will break even in the next two to three years. "We would have broken even in the first year if we stuck to just one test. Since we are investing in other tests, we will take two to three years more," Rai said. Samplytics currently employs 11 persons and five part-time staffers. These include hardware and software engineers as well as algorithm and biotech specialists. The company has four patents pending in its name in six geographies including the US, the EU, Japan, India, Russia and China and the fertility test is FDA approval exempt even in the US. It has also bagged three design awards—CII Design Award, India Design Mark and Japanese Good Design Award. It also plans to add other tests such as kidney function, heart health and cholesterol in 12 months.